An online platform to drive interest in - and investment to - the west coast of Ireland has been created by local groups across the region. 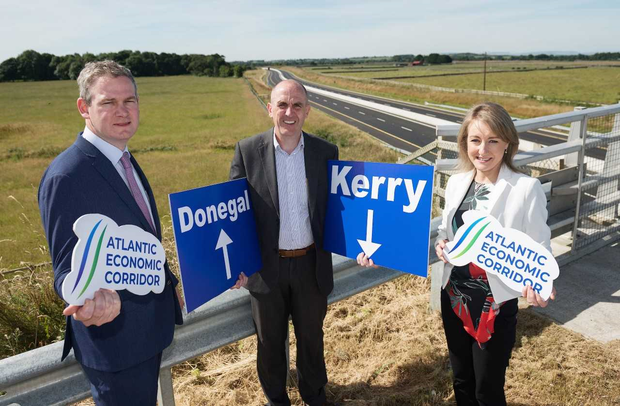 From Kerry to Donegal, businesses and agencies in nine counties have collaborated to launch the Atlantic Economic Corridor (AEC) website. The digital hub will serve as a resource for advice, information and support for those looking to set up shop in the area. Success stories from ambitious entrepreneurs who have opted for the Atlantic-coast lifestyle will feature on the site. Families looking to relocate will also be supplied with useful materials from the one-stop shop offering. The Atlantic Economic Corridor itself is a long-term collaborative initiative driven by Ireland’s business community, national and local government, higher education sector, and public bodies. Minister for Community Development, Natural Resources and Digital Development Seán Kyne, T.D launched the AEC website. "The development of the AEC is a long-term project. Launching this website is very much an initial step in our work, but it is also an important step. It enables us to get the message out that the AEC is the ideal location for businesses to set-up and expand.